Durban and Edmonton have made expressed interest in hosting the 2022 Commonwealth Games. South Africa have never hosted the Games before, while the Canadian city of Edmonton staged the event in 1978. Confirmed bids for the 22nd Games must be lodged by March 2015, with formal consideration six months later by the Commonwealth Games Federation. 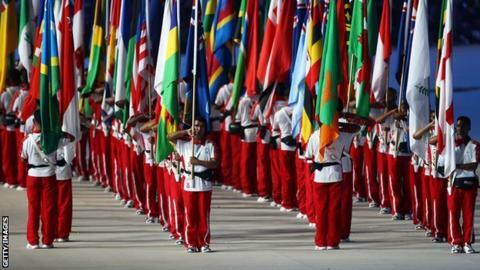 The CGF had been concerned about a lack of interest from the 70 member countries in hosting future Games. The members had until Monday to signal their intention to put forward future formal bids. CGF president Tunku Imran said the interest from Durban and Edmonton was "an exciting development for the Games movement" and also reinforced the event's "position on the world's sporting stage". The 20th Games begin in Glasgow on 23 July, with Australia's Gold Coast due to play host in 2018. "Now we have the prospect of these being followed by what I'm sure will be an outstanding Games in either Canada or South Africa in 2022," added Imran. David Grevemberg, chief executive of Glasgow 2014, said his team would be "delighted to share our journey and our experiences with prospective host cities to help inform the planning of their bids as they develop".